After quite a bit of hands on time with The Old Republic I’ve come to two conclusions. 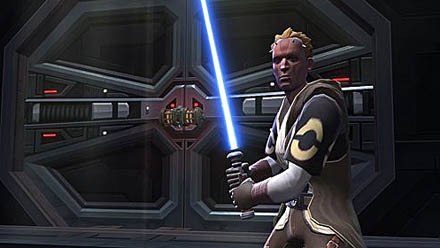 With the MMO market currently dominated by World of Warcraft is there really room for yet another Star Wars flavored massively multiplayer online game, especially after what has become of Star Wars: Galaxies? BioWare seems to think so, and I’m inclined to agree. 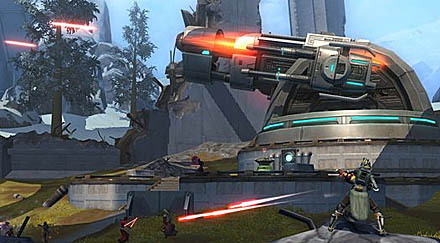 The first is that even with almost no one online, The Old Republic is still an awesome single player game. With every quest having voice over and unique cinematics it really drives the game forward. Gone are the monotonous and meaningless quests that World of Warcraft has given us for the past half a decade. Instead of grinding out quests for no other reason than to hit max level, in The Old Republic you are carving your way into Star Wars history. The characters are incredibly rich and each class has a unique story throughout the entire game. The second conclusion I’ve come to is that, similar to adding melted cheese to anything, ship based PvP combat makes everything better. Due to a general lack of online community in the game’s alpha state I’ve only been in one star battle, and needless to say I got destroyed many, many times, but that one battle instantly took me back to my Rogue Squadron days. The ship combat is incredible and easily worth the price of admission alone. I’ve actually been trying to avoid over exposing myself to the Old Republic simply because when it goes live, I want to play with other people. There are many, many features I’ve remained willfully ignorant of so that my friends and I can experience them together and have a blast doing it. 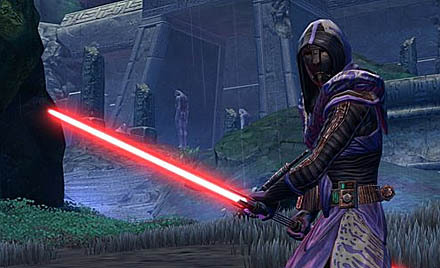 Even despite my self-imposed blindness I am still amazingly impressed by The Old Republic. After seven years of grudgingly continuing to play World of Warcraft, I’m extremely bored with it and was never really that enthralled with it in the first place. With ToR though, it’s been exactly the opposite. The game is expected to release later this year, and I for one, can’t wait. 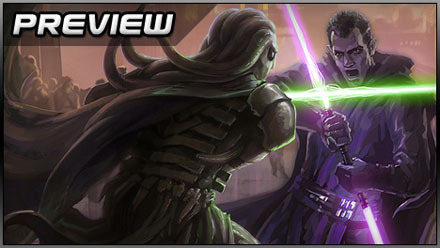 Posted in Previews, and tagged with BioWare, Old Republic, Star Wars.